Minnesota’s winter weather can make your blood run cold. But there’s one heating system that can effectively combat the frigid temperatures without running out of steam—and that’s a boiler. At Krinkie’s Heating, Air Conditioning and Plumbing, our team is committed to keeping your home cozy and warm—all heating season long. In fact, our superior customer care and unrivaled industry expertise boils over into the quality of our heating services. If you’re looking for an energy-efficient heating solution that will save you some serious cash, then you’re in luck. Krinkie’s boiler replacement and installation services will help you pick up steam on your search. 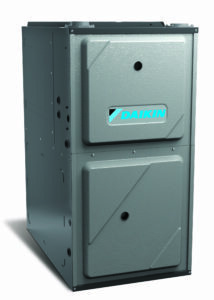 In fact, we guarantee our boilers will stop your home comfort from being left out in the cold. From a minor hiccup to a major system issue, having a problem with your boiler can leave you hot under the collar. But instead of seething in frustration, warm up to Krinkie’s boiler repair services. Our technicians will fix your unit quickly and correctly to restore your home’s coziness—and your peace of mind. Regular maintenance on your boiler not only prevents costly repairs but keeps you safe—and the team at Krinkie’s can help. Our extensive boiler maintenance services are designed to inspect, clean, repair and replace different parts of your unit to keep your boiler in tip-top shape. Being able to effectively ward off Minnesota’s frigid winter weather all boils down to the type of heating system in your home. To see whether a boiler is the right heating solution for you, fill out our online form or call us at 651.488.5555 today! Don’t delay—our team is here to help you 24 hours a day.